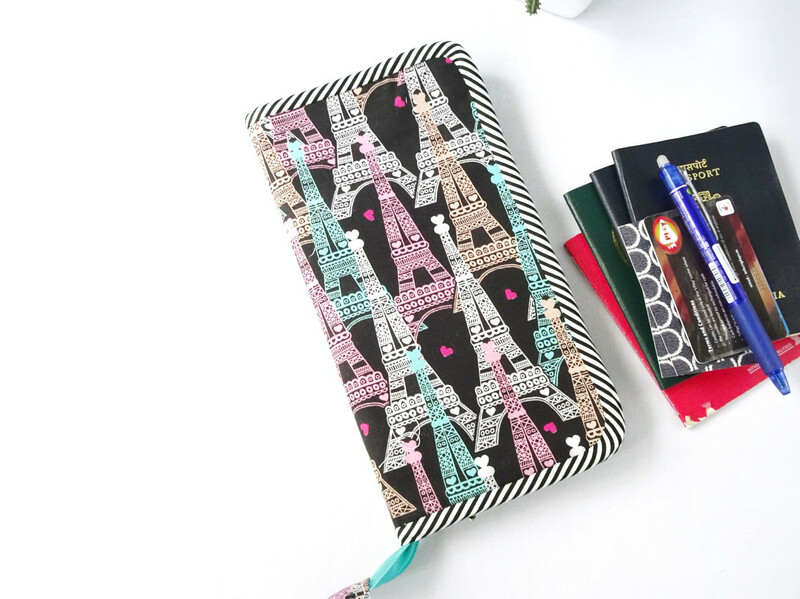 One of a kind Handmade Family Passport Wallet featuring Eiffer Tower Paris in pink and green teal color combo. The wallet has been carefully cut and sewn in my pet free and smoke free home studio. The wallet is interfaced and padded for durability and the binding is finished by hand for a perfect finished.